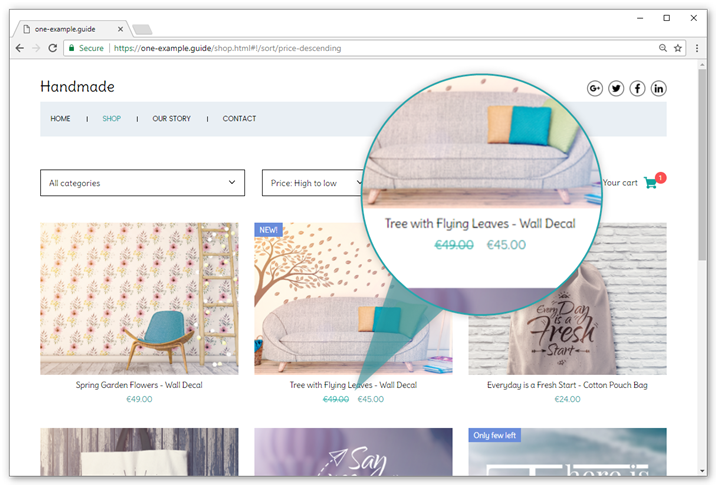 In this guide we show you three easy ways to promote a product in your online shop. Everyone likes to find a bargain and save money, that's why putting a product on sale is one of the most effective ways of increasing sales. Open the product in your Online Shop administration. Check the On sale box. Enter the new Sale price. Click Save product at the top of your screen. You can make your product stand out by adding, a promotion label. For example "NEW", "-50%" or "Popular", the possibilities are endless. The label will be placed on top of your product image. 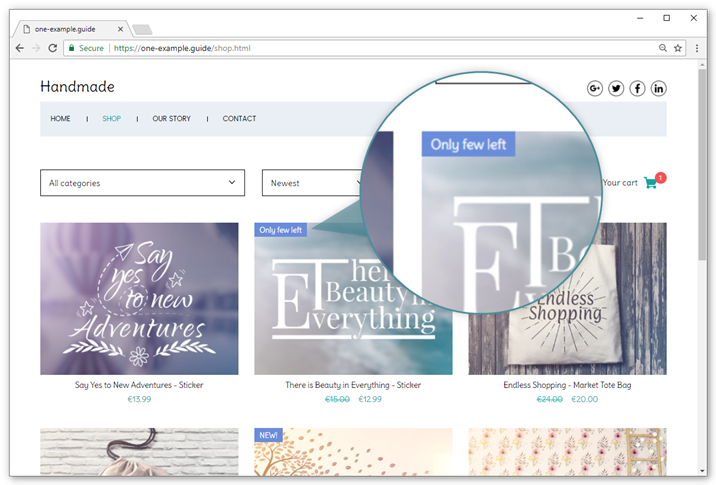 You can adjust the color, font and placement of the label in Website Builder or in WordPress, depending on how you publish your shop. In Website Builder you do this under Properties, and in WordPress by customizing the CSS. Open the product in your Online Shop administation. Scroll down to Promotion label. Type in the text you want to add. Tip: Combine a promotion label with the on sale price, for example by adding the label "SALE" or "-30%". A good way of giving products more visibility, is to show them in other places on your website, for example your front page. You can link directly to single products, but also to categories and sorted results. 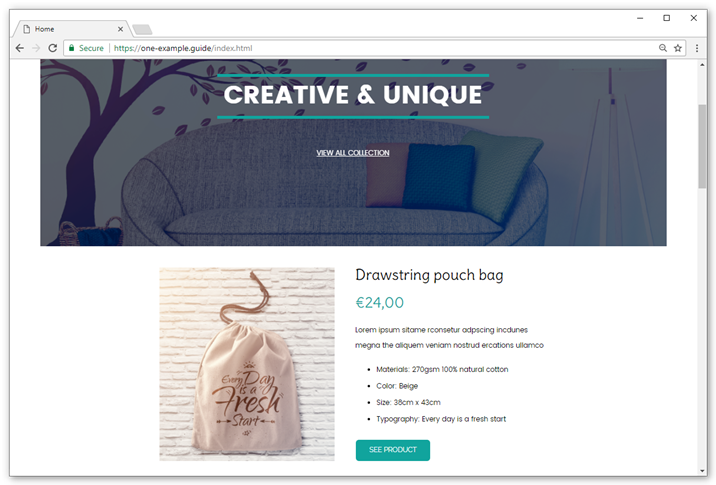 You can find the link to your product by opening it in your online shop, or from the product page in your Online Shop administration. Open your front page in Website Builder. Drag an image component in your page, and select an image of your product. Insert a text box with the title, price and description of your product. Add a button linking to the product page. Tip: To get even more exposure, you can include links to products in social media, like Twitter or Pinterest.